Spacious open-plan design, screened decks and full kitchens facilities and beautiful timber floors throughout. Our Mud Map of Mt Cotton Retreat shows where our cabins and boutique hotel rooms are located. Our cabins have direct car access and level ramps to your cabin. Additionally the open plan design ensures that they are easy to maneuver around and the large bathroom and walk-in shower make them popular for those with mobility issues. Thinking about a big family celebration? Ask us about some fabulous offers for large group celebration and accommodation bookings. 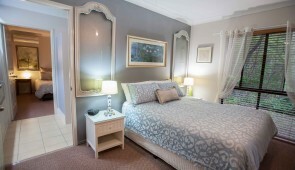 You have the room to relax & feel a million miles away from the hustle and bustle of the city. Whether you are looking for a private place set away from the rest of the world or a place where friends and family can be together, Mt Cotton Retreat has an option to suit just about everyone. 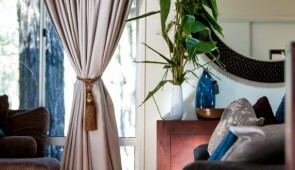 And more importantly, our private setting will give you all the rest and relaxation of a bushland escape. 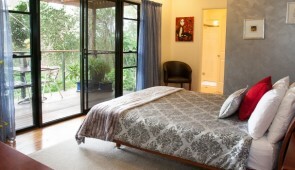 Luxury, relaxation and tranquility is what you will find at Mt Cotton Retreat. Only 30 mins to Brisbane CBD and the Gold Coast for those who want to explore, wine and dine or visit the many local tourist attractions.